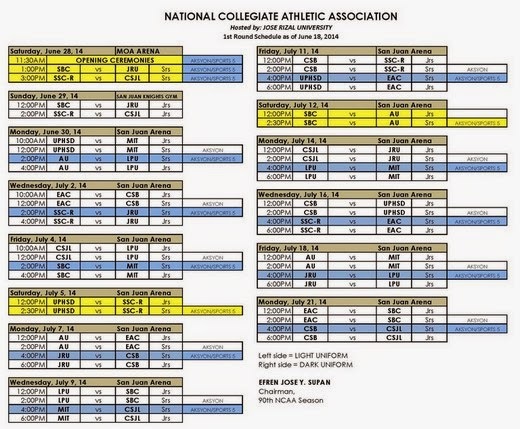 The National Collegiate Athletics Association (NCAA) Season 90 Men's Basketball Games will start on June 28, 2014, Saturday. 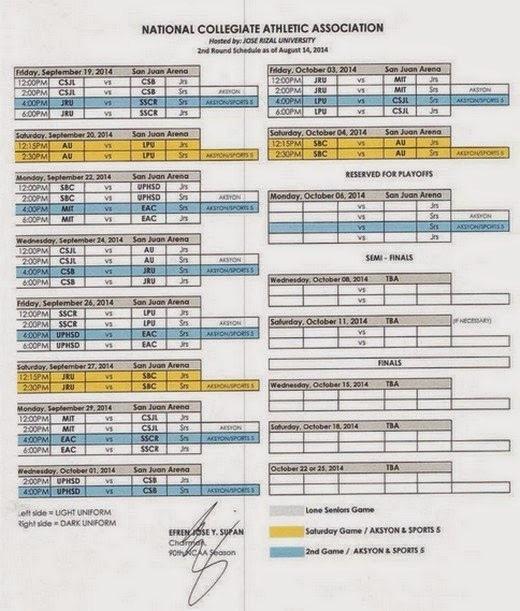 On the said date, at exactly 11:30am the opening ceremonies will begin en route to the first double-header of the Season at the Mall of Asia Arena. For the first game on June 28 at around 1pm, this year's host the JRU Heavy Bombers will go against the defending champions San Beda. In the second game, Letran will test their metal against the up and coming San Sebastian Stags. For the rest of the game schedule, check out the details below. 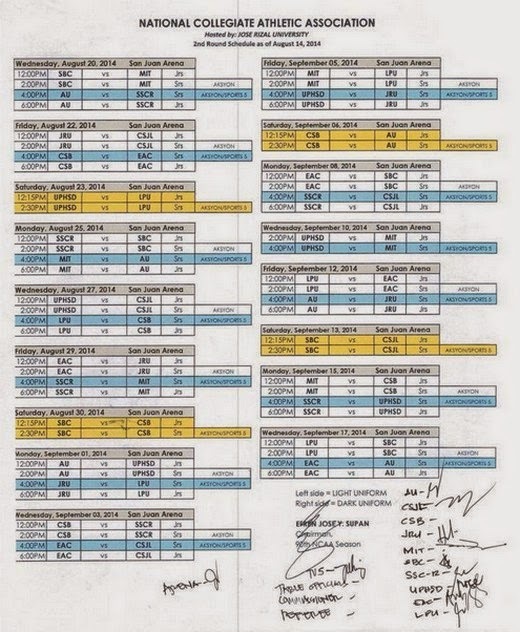 The live broadcast of the games will on TV5. watch ncaa college football live stream online. it is 100% satisfied. you can easily watch college football to visit this site. because we provide 100% HD quality software.